Irresistible content that connects doesn’t have to be long. We know this already. In fact, the difference between a course or program that sells and one that bums can be just a couple of words. Do I need a copywriter or a content writer? A couple of weeks ago, I decided that I wanted to share a dish with my colleagues who happen to be Caucasians. I got home and asked my mom to cook some vegetable soup because she makes the best vegetable dish ever. Excited––and maybe impressed by the compliment, she agreed. I didn’t tell them was that it wasn’t your broccoli on carrots, veggie dip. It left out the part that it is a slow-cooked vegetable fish soup: spicy, cooked in oil, garnished with seafood and carrots. I only told them I was bringing a veggie dish. I didn’t create the meal with them in mind. My meal catered ONLY to my taste. You might be wondering how mastering the art of copywriting can make your content more engaging when you’re not a copywriter. It’s simple! By nailing the very basics of copywriting, you will learn several psychological triggers that will make people react to your content and take action. 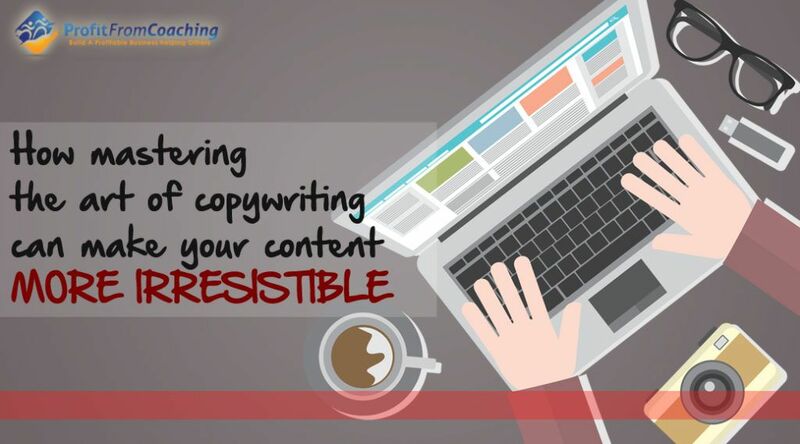 Now, make your content more irresistible by infusing these basic copywriting principles into your content. Good content needs strong copywriting skills in order to sell something. Anything. But before anything, you’ve got to understand your ideal client’s wants. This is important if you want to make money with your content and offers. Even if my food was out-of-this-world delicious, it didn’t resonate with my colleagues because they were unfamiliar with it. It wasn’t what they wanted. The same principle applies to your offer. Don’t just dump your offer on them out of nowhere. Introduce your idea. Conduct reader surveys to validate it. Get to know what solutions they want before you release anything. Because if you give them the wrong medication for the wrong problem, they will not pay for it. 2) If you don’t know how your audience likes to consume your content, you will leave your audience hungry. Although they loved eating vegetables, eating a microwaveable dish probably wasn’t the best offer at that time. Throughout the night, I saw them gravitate towards finger foods with minimal prep time. Your audience will let you know whether they want to read 5 articles a week or one epic article a month. They will let you know if they want you to drip feed your courses or release all the modules at a time. Don’t make the mistake of releasing a 10-part, lengthy email series when your audience members are busy moms––multi-taskers would appreciate short punchy content. And maybe audio content too. 3) Know the features of your product or service and know how it will benefit your audience. As a coach, you produce content with the hope of converting your audience into paid customers. But before you really convert an audience member into a paying customer, you need to see things from their perspective. If you can articulate what your product does and how it will help the buyer move past frustration to abundance, you have sold your product. Don’t be like me; I put a lot of effort into psyching myself up thinking they were going to fall in love my food. Well, now you know. That didn’t happen. 4) What your audience perceives as really epic, valuable, content might be as simple as 2 paragraphs. Really! What your audience perceives as really epic, valuable, and relevant might be simple you don’t have to go through great effort to create. This is so epic I had to write it twice. Have you ever wondered why some bloggers blog about seemingly mundane things yet they are more received than others who focus on dropping epic blog posts that go unread? It’s because they’ve discovered their “IT” factor; what audience members LOVE and WANT. To really know what your community values, ask them what value they’ve gotten from your coaching. Our very own DJ does this well in our Facebook group. And when you ask for feedback, be specific. Don’t just ask them if they found value from your content. Ask them what content they found valuable and the results it helped them achieve. I missed this step because I was too quick to throw my food in the trash. Therefore I missed the opportunity to learn how to make my vegetable dish more appealing to night shift workers who happen to be White Americans. In most cases, you don’t have to re-do your entire content. Based on the feedback you receive, you might just need to focus on clarity, niching down a bit more, and length. In summary, you don’t have to be a copywriter to create irresistible content. But understanding your clients, what makes them buy, what problems they want to solve, and how they learn best will make your content shine and convert readers into paying customers. Now I want to hear from you. How can you make readers fall in love with your content? Margaret is a Content Marketing Manager responsible for developing and managing a content marketing strategy, editing, and coordination of all digital content at PFC. Previous Post How To Respond To The “What Do You Do?” Question Next Post Facebook Groups Or Email Lists – Which is more important?